Friendly flower Co. bring you Sea Weed , Medium and smaller well cured nugs with a good coating of crystal and the classic seaweed nose..
Seaweed is a well-balanced hybrid strain which originated in Southern California. These smaller yet dense and caked nugs are a great daytime smoke as it will not leave you incapacitated. Users have noted experiences of Euphoria, Creativity, Calm, Pain Relief, Increased Appetite, and Calmness. As the name states, you will notice a mild smell of the sea. For all of you non-seafood lovers out there, do not let this deter you as it taste nothing like the way it smells. Users have noted an earthy, sour, pine taste. Great for daytime use and beginners. Good for the price. Does the job. Best bang for your buck. Great price and other than being a bit stemmy the high is excellent. If you like outdoor you’ll love this but it just doesn’t do it for me. I need a stronger strain. Deff a good deal. This is yummy ganja-bought more than once. Then a QP cause its very good for the price! at the 4$ price point you cannot go wrong. unique taste with a hay like smoke which is great for more public daytime smoking. good buzz without being too much. burns clean. For the price this may be the best bet on this site. A bit stemmy but as an outdoor that is kind of par for the course. I will get again for sure. I’m normally really happy with this bud but my last buy it looked like bottom of the bag it was mostly sticks and stuff that should of been trimed it was also over cured and crushed to dust, There was some nice buds and still did the job but something to look at tho and i’ll be trying the other outdoor bud with the low price. Super cheap with a pretty good buzz. The category of ‘outdoor matured’ bud is probably one of the LEAST attention grabbing for all the WRONG reasons! Proper respect never shines the spotlight on outdoor green as it is looked upon as hobo weed; for lack of better terms. I’ve tried them all, indoor (controlled environment) top shelf and out (in the wild). For an indoor Op, technology is great! Ph sensors, cycled lighting and autonomous nutrient emitters, etc. But to segway back to nature, these plants thrive in almost every climate and environment. They’re super resilient to the elements and adaptive to ‘most’ diseases. Smooth inhale and exhale. Absolutely no lung or throat roughness, for me at least. I have some respiratory issues, so vaping is usually my go to. I find a lot of the flavor is lost during combustion anyways, and it’s a sad day knowing all the gooey trichomes’ sap is mostly wasted… So when in doubt, Vape! Besides this strain holds up better when vaping. I found that I needed to relight a few times, but I’m also factoring in wind, and that the plant is not dried out an harsh, which is a good thing. Only time will improve the burn quality, so not much a issue for me. As for appearance, beautifully pruned and what’s expected of outdoor is a strong stem, not ‘stemmy,’ as one would so casually describe. What I see before me is a healthy and strong plant. Densely frosted big bud that is firm to the touch, i.e: loaded in trichomes!! I always find reviewing the scent/nose of a strain to be the most challenging. It is highly personalized. Every-body is literally different. On inhale, there’s a crisp seabreeze nose producing an intense pungent sweet and salty aroma. I sense an earthy moss and morning mist/dew undertone. In abstract, BC Bud is always the best! It’s just that that part of the country is rich in air quality, with the perfect humidity that’s mostly stable through the year. full effects aren’t to be expected immediately. A good 15 to 20 minutes of a gradual elevation of mind and body. 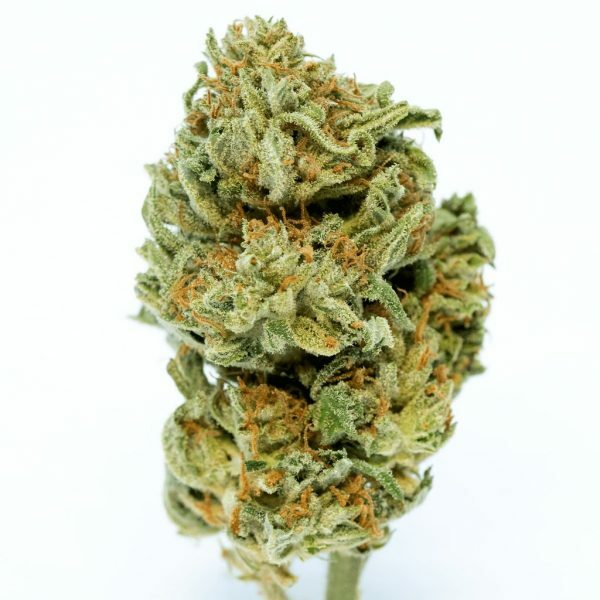 Definitely a full fledged Sativa, with hints of CBD properties as the body effect doesn’t feel quite Indica, but there is definitely a sensation of a pulsating warmth. I’d put this strain right up there with competitors like Love potion. Great for when getting jiggy with it! Excellent bargain for an excellent earthy weed, I like it! Not my favourite batch of seaweed! 🙁 Normally I am a huge fan, but my recent order barely got me high. I donated the nugs to a friend to make oil with them, hopefully they’ll be better as edibles. It’s definitely a great deal for the price. It’s a bit stemmy and not as strong as all the other stuff, but it does its job and I’m happy with it! This stuff is aight for outdoors, bought it cause it was cheap and curios to try. The high is nice and light and can be quite uplifting. The smell is ok and the taste isn’t the best but a decent strain to mix with stronger ones to even them out a bit. I find the Jack Herer is similar in potency but a nicer smell and taste. Not only is the price good. I love this. Great weed for a great price! It burns nicely and doesn’t leave you stinking too badly of pot smoke. It is a great bud for the beginner. Really enjoyed this lighter color outdoor. This high was great. It was not the smoothest ever but still worth the price by far. The batch had alot of stem which would be the main downfall. My girl ordered this for herself cause the price was great, however when I tried some…it was smooth and somewhat tasty. But the leafy budds and the burn run off stunk and she would have to relite after 4-5 pulls from it. There is a lot of stems but for the price it’s pretty good I have purchased again. Nice out greenz. Great bang for your buck. For the price, this is pretty good. Nice mellow high. This seaweed batch wasn’t all that great. Sticks and stems mostly. Didn’t even get a small buzz just a headache and sore throat. Harsh smoke but good bang for the buck. You definitely know your smoking an outdoor weed, a tad harsh but has a nice creep effect. You cant beat the price. Great value bud. Especially if you appreciate the outdoor grown. Classic seaweed, perfect to get through the day without any heavy effects. This strain is quite popular if you havent tried it before i would recommend to as everyone needs to try this strain at least once! Pour le prix c’est vraiment bien. J’ai commandé à quelques reprises et je n’ai jamais été déçu. Tried all of the outdoor from Greenz and all are good for the price but this would be the least favorite of the bunch. Still solid for the price. I bought 40g of this for $157 during the new years sale, and damn what a deal! Big dense nugs, awesome crystal coverage, and it’s a nice smooth smoke. Smokes well for outdoor and is great for the price. Nice bud, thick smoke, cheap. I got to try this as a sample ans I was pleasantly surprised as a daily smoker. The bud has notes of citrus and pine and is a nice salt and pepper ash. I was happy with the bud, but tolerance was built very quick so this may not be for the daily smoker, unless they are looking for something different for a couple days and want to save some bank. liked this so much I had to buy it again. Just as good the second time. What’s amazing about this strain is the size of the bud. Very deceiving to a novice smoker, this bud can fool even the most experienced tokers with it’s outdoor properties. Great bud at fair price! I bumped from a 3 to a 4 due to low cost. Value for $ is six stars. Great for the novice or just low thc low cost. Great outdoor. Some damn fine green for the price. I just bake with it and I’m always out to sea on this stuff. I give 4/5 for the price! Overall is great too !! Not bad for the price. If you are a smoker it fits in with the heavier stuff nicely. I had this a bit of seawarp. Think I like this one a lot more. The nugs were big and dense and the smoke was pretty decent taste for the price. giant tight nuggets. Hard to get a better deal then this. Of the outdoor varieties so far this season, this was my favourite. My favorite one out of the outdoor buds on this website, nice big nugs, not too crystally but great for the price!